The skyline exists only as an extension of the porcelain-like earth that stretches into the horizon and disappears into sapphire heavens. Supernal brilliance seduces the eye, becoming a siren that demands attention. From the air, ice creates a stratum of seemingly undisturbed territory, where jagged plateaus erupt from eternal flatness before abruptly surrendering to planes of luminous ice. As nostrils flare with the purest smell on earth, lungs fill with virtuous air and ears embrace sweet soundlessness. When Darby Butts looked out of the airplane window as he arrived at the Ross Ice Shelf on the coast of Antarctica, in October 2015, he was filled with awe and humility, knowing that this frosted desert would be his home for the next year. He had come to work as the executive chef and food service supervisor for the United States Antarctic Program’s residents at McMurdo Station. “It was sensory overload. 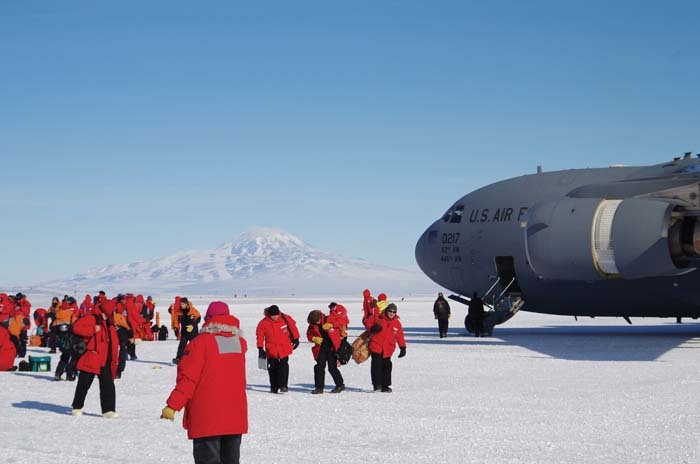 Walking off an Air Force C-17 onto an ice runway in Antarctica with Mt. 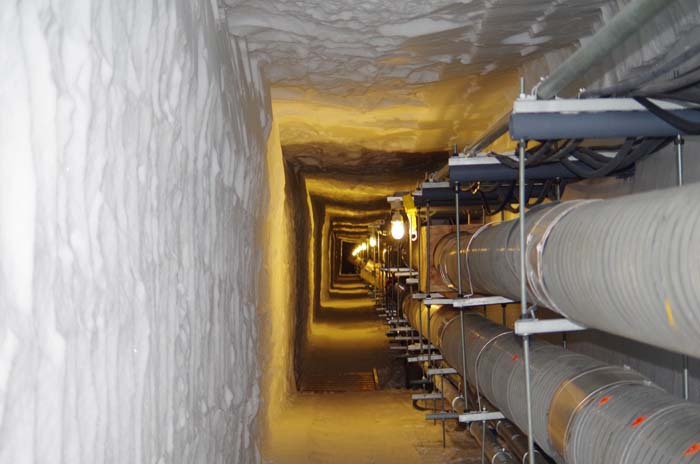 Erebus in the distance is absolutely mind-blowing,” shares Butts. A world traveler, Butts has had the fortune of cooking in a number of countries across the globe. But this was his first paid cooking gig outside of US soil. 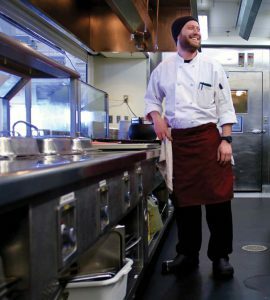 The chef had most recently worked at Davis’ Pub in Eastport, Maryland, and uprooted himself to satiate his need for exploration. 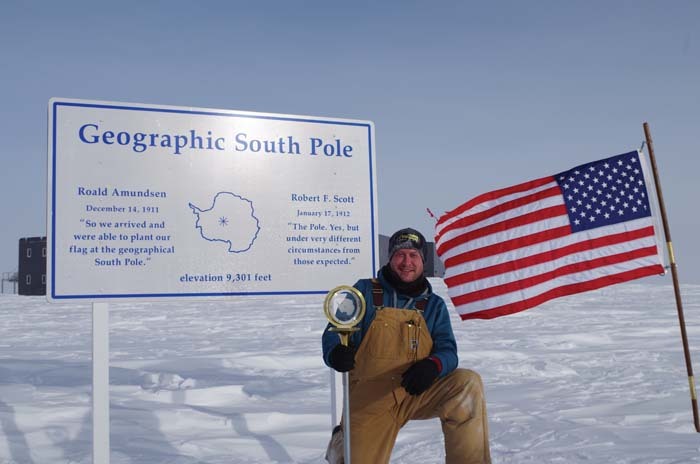 Butts’ decision to live at the South Pole resulted from the traveling he had done during previous years. In 2015, after having returned from the Amazon jungle of Ecuador, his urge to get back out hit almost immediately. “I decided that I finally needed to combine my work with travel and hit the road permanently,” explains Butts, who will celebrate his thirty-sixth birthday at the Pole in October. One could surmise that this adventure was long in the making, perhaps rooted in a twenty-something Butts who once stayed in Northern Thailand and fell in love with the marriage of travel, cooking, and hospitality after helping a woman and her son prepare dinner under a thatched roof hut next to a fire. He originally looked into working his way through Central and South America using various work-trade websites and organizations, and then it hit him that he’d already been to five of the seven continents. He needed to visit all seven. “When I started looking into how to get to Antarctica, I found out that to step foot on the continent as a tourist is extremely expensive. To fly to the South Pole for a couple hours to get your photo taken is close to $50,000 per person,” he says. “That’s never gonna happen.” So, he did an internet search for chef jobs in Antarctica and applied. Butts is the first to admit that such a job is not for the faint of heart. 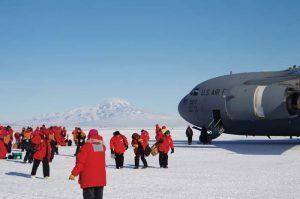 Amundsen-Scott South Pole sits at a lofty 9,301 feet above sea level, and, because the barometric pressure changes daily, the physiological altitude—that is, the effect of the altitude—can cause the body to feel like it’s at 12,000 feet. Butts says it took him three or four days to acclimate to the altitude, and several people had to leave during the summer due to severe altitude sickness. Moreover, the subzero climate and extreme isolation require residents to maintain good health and a certain level of tenacity. 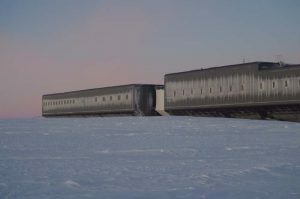 Amundsen-Scott residents who stay throughout the winter live in complete isolation for eight months, six of which are in complete darkness. or those who winter over, as Butts is doing, there are additional responsibilities. “Everyone has to be on an emergency response team and train regularly throughout the year for responding to different scenarios,” says Butts. 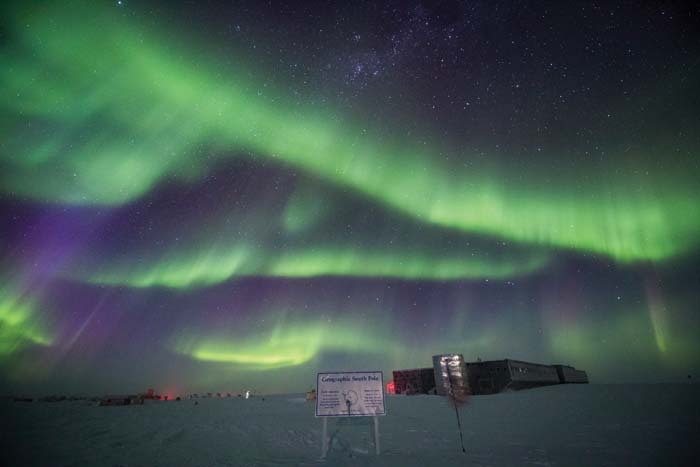 Before coming to “the Ice,” future Pole residents must choose to become medical responders or firefighters, becoming first responders or part of the fire, logistics, or medical teams. Butts trained as a firefighter and became a first responder, and is now team leader for Emergency Response Team 1. 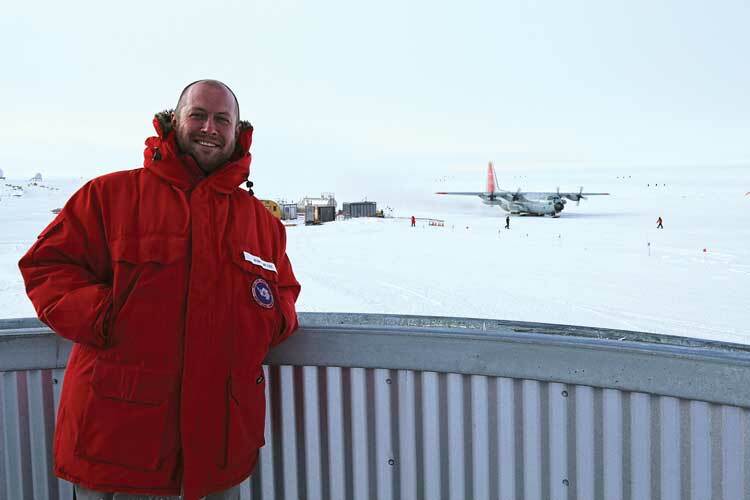 “Any time there is an emergency or alarm, I fill the role of OSC (on-scene commander).” During our interview, Butts informs me that two scientists had been emergency evacuated (in a small Twin Otter airplane—the only planes that can land, fly, and take off in the extreme South Pole winter conditions). It was something that had only happened twice in the last 60 years and made history as the first time a medevac was successfully attempted in the middle of winter. It also took the population down by four percent, to 46. Living under such intense conditions was part of the appeal of being at Amundsen-Scott Station. “I knew it would be a significant challenge, and I would be put way out of my comfort zone, but that was what made the opportunity so attractive,” he shares. He feels he is at his best when faced with adversity. 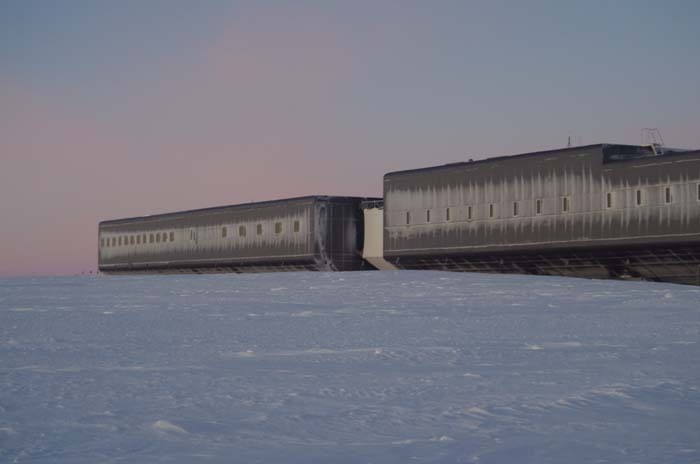 Cooking takes on a unique flavor at the South Pole. During the summer, Butts cooks with ample amounts of “freshies” (fresh fruits, vegetables, and dairy), enjoying cooking versatility. When winter approaches, meals consist of more frozen, dried, or canned ingredients. The station has a hydroponic growth chamber where they are currently growing produce such as greens, cucumbers, tomatoes, zucchini, peppers, and herbs. And Butts enjoys the challenge of creating sumptuous meals in this environment. He particularly relishes making slow-roasted Italian pork, Jamaican beef patties, jerk chicken, and gumbo, among other dishes that remind him of his travels. Butts considers his job to be multidimensional. In addition to being responsible for people’s nutrition, he is a goodwill ambassador who enjoys interacting with the community each day, helping to keep morale up. As much time as he spends in the kitchen, Butts’ days are filled with a variety of activities. “My average day consists of 10 hours of work. Additionally, five days a week, I have different meetings. One day a week, I have ERT training. I spend a few hours a week doing admin tasking, an hour a week doing ‘house mouse’ (station housekeeping assignments), one hour a day, six days a week in the gym, and once a week I have a phone call with my bosses back in Denver,” shares Butts. And he is known to watch movies, play pool, and play volleyball. He gets one day a week off, during which he works on art projects and goes for walks outside—even in winter. “If you don’t get outside, what’s the point of being here?” he rationalizes. The fact that communication with the outside world is extremely limited—only one of three satellites has a strong enough connection for applications like Facebook (and only during a few odd hours of the morning), and they are in New Zealand’s time zone—means it’s a good thing that there is not much boredom in Antarctica. It’s not uncommon for creativity to soar while removed from traditional means of entertainment. The 300 Club is one such example. 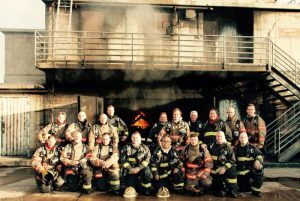 In the 300 Club, Amundsen-Scott residents put their bodies through a 300-degree temperature swing. They wait for the temperature outside to drop to -100F (ambient temperature not including wind chill) followed by immersing their bodies in a 200F-degree sauna for 15-30 minutes. Then, they strip down to birthday suits (except for shoes), run outside to the South Pole Marker, run around it through all 24 time zones, and run back inside. “In the middle of May the temperature got to -105F, so I may or may not know some people, including myself . . .” says Butts with a wink and a smile. As of the printing of this article, Butts is also working from the Pole as a restaurant consultant for a group in Medellin, Columbia and has a few months before his stay at Amundsen-Scott Station is complete. At that time, he will head to a small island in Indonesia to reacclimatize. Then he’ll make a few other worldly stops, ultimately ending up in Medellin, Columbia in January 2017, where he will assume the role of executive chef at a gastro pub. But he’ll be stopping through Annapolis before then. “There’s too many amazing people there that I miss and want to hug, especially with the recent passing of my best friend, Boo Valdez,” he says. Whether he’s made a temporary residence in a bunker on frozen tundra or within forested tendrils of vine and bark, Darby Butts is always home, because he carries Annapolis with him wherever he goes. Error: Error validating access token: Session has expired on Saturday, 09-Mar-19 15:57:50 PST. The current time is Friday, 19-Apr-19 11:41:13 PDT.